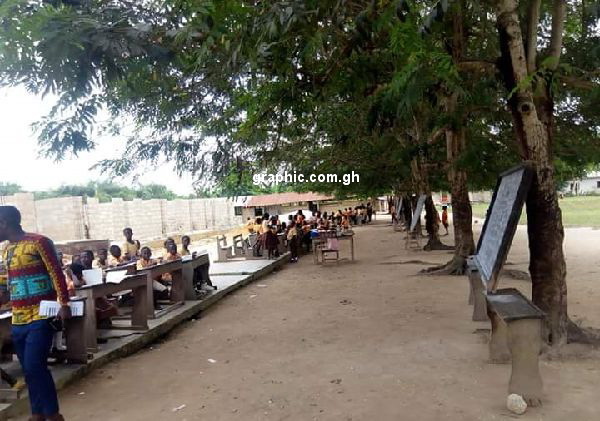 The Chief of Meretwiso in the Upper Denkyira East Municipality of the Central Region, Nana Ntobonkyi has threatened to close down the community’s basic school if authorities fail to take urgent steps to move the pupils into a safer learning environment. The over 400 pupils of the Meretwiso Basic school learn under trees exposed to the weather and dangerous reptiles for two years now. Nana Ntobonkyi noted in an interview with Graphic Online that the situation came up when a heavy rainstorm ripped off the roof of the school block including its computer laboratory in 2017. 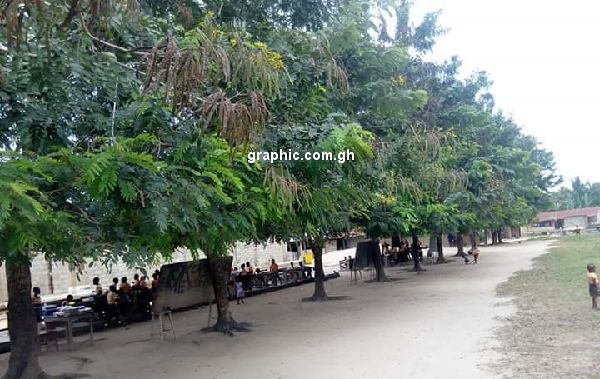 He said the incident was reported to the National Disaster Management Organisation (NADMO) after which officials of NADMO came to pull down the structure, saying it posed a danger to the staff and students. He said since then, several attempts to get the municipal assembly to put up a new structure for the school have failed. He said the community through its own initiative managed to provide sand and stones in support of the project but initial work on the block by the assembly has stalled completely for several months now. He said this was despite the fact that the community was ready to support the project with communal labour. He noted that currently there was no effective teaching and learning. "It is obvious that no effective teaching can take place in such an environment", he stated. He said before the proposed closure, the community will organise a demonstration to express their displeasure about how the authorities are treating the situation. Nana Ntobonkyi said it was worrying that a situation such as that would be treated with indifference by the municipal assembly. He also called for support for the community to rebuild the school. Attempts to get the Municipal Chief Executive, Isaac Awuah to respond has still not been successfully.